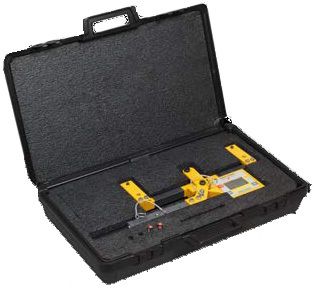 This revolutionary new cable tension meter was engineered and designed with intent - be robust yet easy to use! 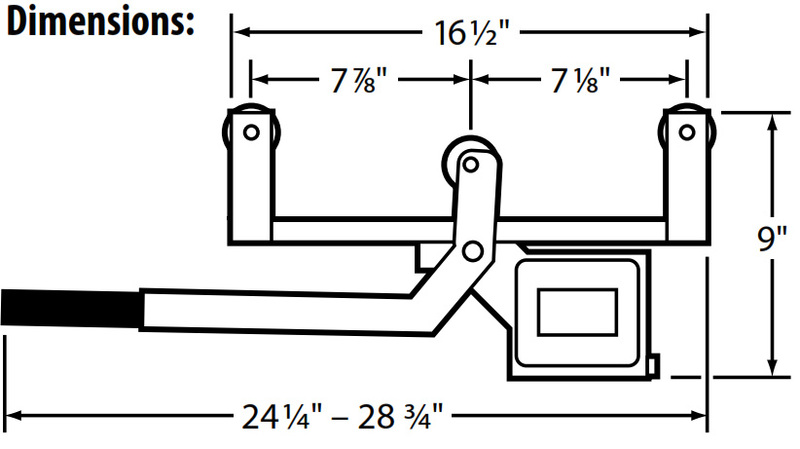 The Dillon Quick-Check can be installed, take a cable tension measurement and be uninstalled in under 5 seconds! Its versatile design allows it to be used in a variety of applications and on a variety of wire rope diameters and strand types. 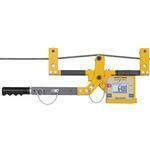 With a diameter range from 3/16" to 1" the Quick-Check is able to handle the majority of common rope sizes. 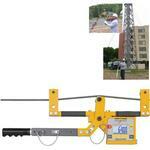 Broad Application The Quick-Check can be employed in many industries to ensure proper tensioning. 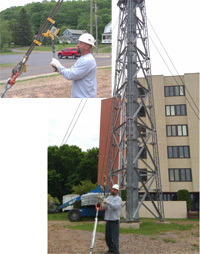 Typical applications include tower and stack guy wires, pretensioned cable barriers, bridges, elevators, winch rope, overhead electric transit wires, fall arrest systems, aircraft cables and utilities. 1/4 sheave - 3/16" to 1/4"
1/2 sheave - 3/16" to 1/2"
3/4 sheave - 1/4" to 3/4"
1 sheave - 1/2" to 1"
Calibrate each wire diameter needed with the most appropriate sheaves. If two wire types are used of the same diameter (e.g. ½ 1x7 and ½ 6x19), calibrate each type independently if accuracy is critical. At user discretion. Commonly 12-24 months; should be more frequent with heavy use. On-site recalibration may be possible through your Dillon distributor.